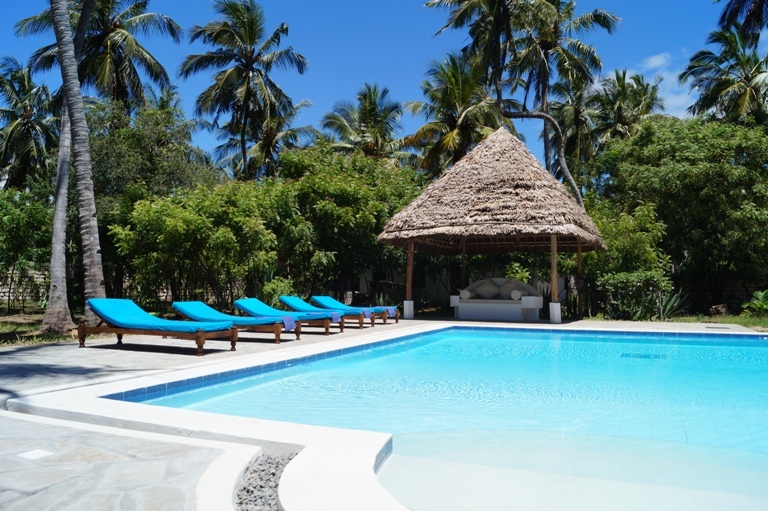 Kiboko Nyumba -Hippo House - Watamu Marine Association. Kiboko Nyumba (Swahili for Hippo House) is the realisation of our dream to build an eco-friendly holiday home in one of the most beautiful locations in the world. 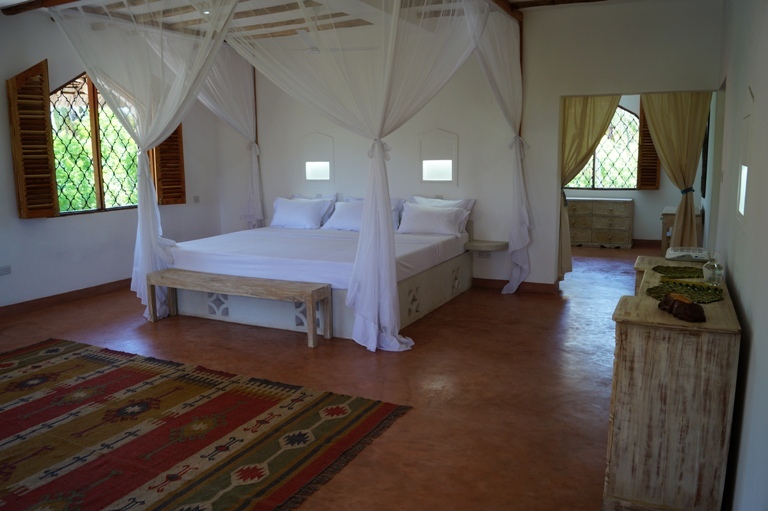 Kiboko Nyumba was finished in November 2014, and is an impressive, 4 bedroom Swahili style house that sleeps 10 people + baby. 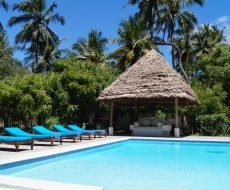 The villa, which is set in 1 acre of land, is spread over 3 floors and is just a 10 minute stroll from the stunning beaches of the Indian Ocean. Great for family holidays, parties or group gatherings, it is an ideal place to spend your holiday being pampered by our wonderful staff away from the hustle and bustle of modern life. 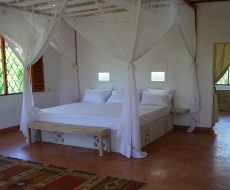 The property comes fully staffed with a chef, housekeeper and a gardener as well as a night time askari (security guard). The ceiling fans in every room along with the makuti roof and open grill windows mean that you can benefit from the cooling coastal breezes without the need for power-hungry air conditioning units. There is ample space for entertaining in the open plan lounge, the relaxing top terrace, the large verandah or around the pool. The ground floor is open plan with dining and living areas and a bar. It features a 52? plasma tv with dstv and a dvd player. The house has wi fi connectivity. The first floor has 3 double, en-suite bedrooms and the top floor has a master suite, consisting of a bedroom, a dressing room and a shower room. Also at the top of the house there is a makuti covered roof terrace. This impressive open space of 12m x 8m has plenty of seating and a second bar. 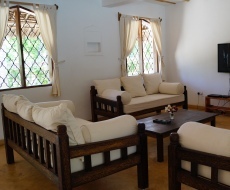 Decorated in the Swahili style with locally made furniture this is the ideal place for relaxing with a drink or two to watch the sun go down. 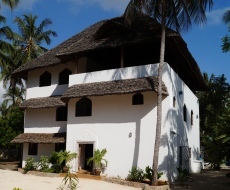 Allan, our experienced cook, will be happy to prepare a wide variety of dishes as well as classic Swahili foods. Shopping while on holiday in Watamu is easy and enjoyable. For groceries and supplies you can either pop into the village in a tuk-tuk, order by phone and have it delivered or you can ask Allan to shop for you. If you would like us to get any provisions in for when you arrive please let us know and we will arrange it. Local fishermen will come to the house with their daily catch including king prawns, lobster and local fish, weather permitting. All towels and linens including pool towels are supplied. Bedding is changed weekly unless requested. Our staff will be happy to do guest's laundry daily. It will be returned to you beautifully ironed either folded or on hangers. The house is supplied with 3 phase power but in case of an outage we also have an automatic diesel generator. All of the hot water is heated using solar panels seated above the 40,000 litre cold water storage tank ensuring a constant supply. It is fully alarmed and has G4S security around the clock. 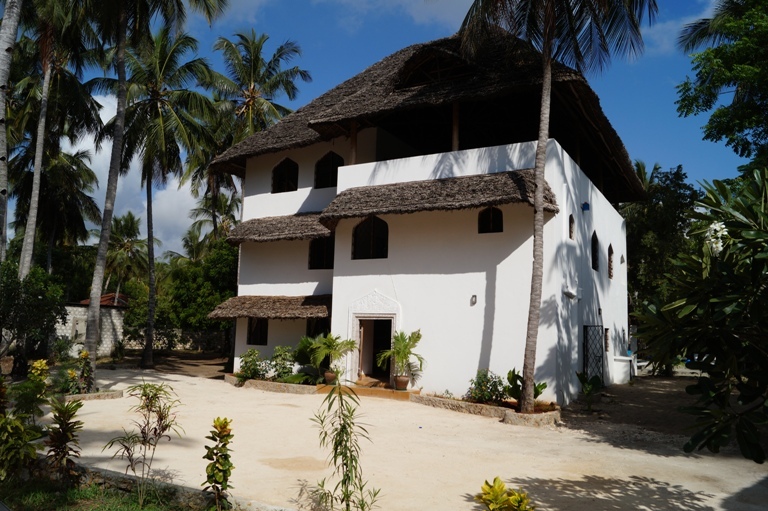 Kiboko Nyumba is located just off Turtle Bay Road which links Watamu Village and Temple Point and is situated amongst small shambas (farms). Goats and cows are regular visitors to the path at the side of the villa meaning guests are immediately immersed into local Kenyan life, however a very short drive by car or Tuk Tuk takes you straight to the the heart of the village. 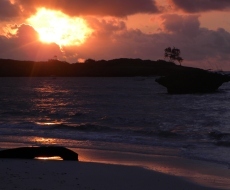 The beach access road is just a few minutes walk from house and within 10 minutes you can be stepping onto the glistening white sand of Watamu Beach. 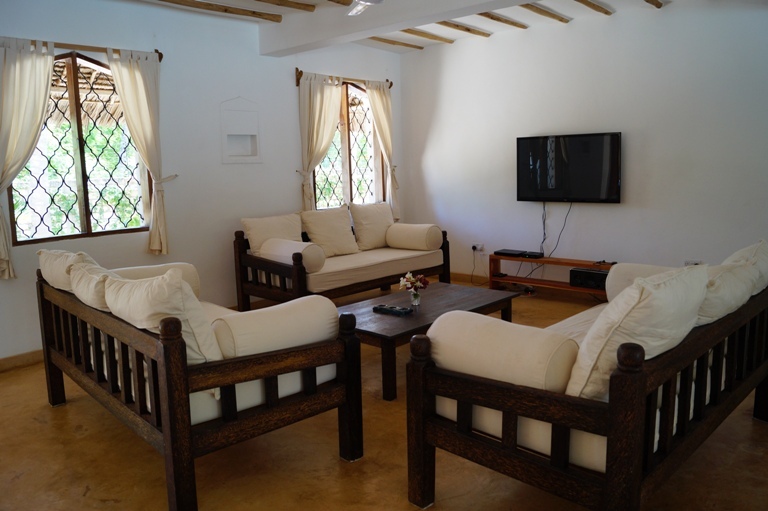 The nearest airport is Malindi which is a 20 minute drive to Watamu. It is served by connecting flights from Nairobi. 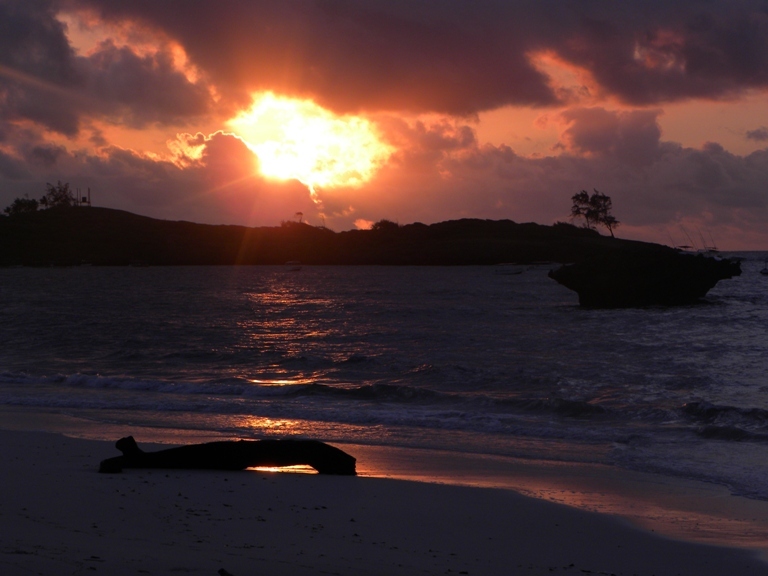 The international airport at Mombasa is 90 minutes away from Watamu. We can arrange pick up by car from either of these airports.